The body of a missing swimmer has been found at Bents Basin this afternoon. About 11.30am today, emergency services were called to the waterhole, about 10km south of Wallacia, after a group of men were seen to struggle in the water. 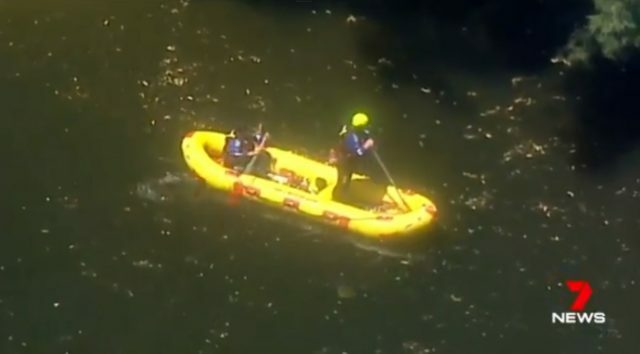 Three men, believed to be aged in their 20s, were rescued by bystanders, however, a 25-year-old man did not resurface after disappearing underwater. A search was conducted involving local police, assisted by police divers, Fire & Rescue NSW, NSW Ambulance, and NSW State Emergency Service. Just after 1.30pm, the body of a man, believed to be that of a 25-year-old Nepalese National, was found in the water. Officers from Nepean Police Area Command will prepare a report for the Coroner.